IoT Market Trends Over the Next 5 Years | HOBI International, Inc. 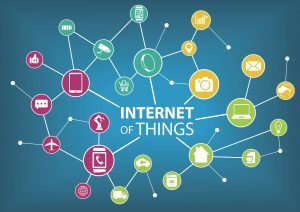 The Internet of Things (IoT) is developing at warp speed and is being widely integrated with a number of other industries. A new report on “2018-2023 IoT Market Global Key Player, Demand, Growth, Opportunities and Analysis Forecast” that has been recently published offers a fresh overview on what the IoT industry will look like over the next five years. Current and future growth of the world’s IoT market is due to a wide range of important factors. Among the most significant factors that positively influence the industry’s development are the rapid rise in popularity and adoption of cloud platforms, technological progress and many others. Additionally, achievements in data analytics, computing economics and interest from the side of other industries including manufacturing, automotive and energy have also impacted the growth of the global IoT market. All these factors will lead to a significant growth of the number of devices connected via the IoT. Today, a lot of new smart devices have already managed to become standard tools for companies and individuals in their daily activities. Given this fact, it is predicted that by 2020 nearly 50 billion connected devices will exist in the world. Smart connected devices bring a lot of benefits for businesses. Using these tools, it has become possible to increase client’s engagement, enhance visibility and facilitate communications. IoT is currently centralized which is one of the main reasons resulting in the vulnerability of IoT networks. Due to the fact that billions of devices are already connected in the network and even more are to be added in the future, IoT is an appealing piece of cake for cyber attacks. As a result, security issues are becoming extremely important. It is believed that blockchain may bring a lot of benefits to this sphere. Not only is the technology public, but it is decentralized and secure as well — which is exactly what the IoT needs. There are good chances that in the upcoming years, developers and producers will fully realize the benefits that blockchain can add to their products and will be actively working on implementing of this technology to all devices. It is also said that the global IoT market will closely interact with AI sector. AI will be integrated with IoT data analysis in a number of areas including: data preparation and discovery, time series accuracy of data, predictive and advanced analytics, visualization of streaming data, as getting logistical data in real time. In the context of active IoT market growth, the demand for IoT professionals is rising so quickly that universities can’t prepare a necessary number of specialists, which is why companies are trying to keep up with demand offering their staff internal training programs. And speaking about the largest IoT markets in the world, it is worth mentioning that currently, North America pulls in as first and is followed by Europe and Asia Pacific respectively. However, over the next few years, it is predicted that Asia Pacific will be the fastest growing market with North America dropping to second place. In a smartphone driven world, are laptops being phased out?